Called the F94 by the factory (part of a series of cars that started with the F91), it was sold with the odd name of 3=6. The engine is a 3 cylinder two stroke engine. The name 3=6 started as an ad slogan. The idea was to remind customers that 3 cylinders could be considered the equivalent of a 6, because a 2 stroke engine delivered a power stroke from each cylinder with every revolution of the crankshaft. All that technology stuff aside, these were pretty cool little cars. The transmission is a 4 speed with a freewheeling feature. The interior is incredibly spacious for a 1950s small car, a feature DKW also pointed out in their ads. The body has an old-school German car charm to it. DKW was part of the Auto Union group, which included DKW, Audi, Horch and Wanderer. The 4 rings symbol, which, of course, is still seen today on Audis, was meant to symbolize the 4 brands of Auto Union. In the late 1950s, Daimler-Benz took control of the Auto Union Group and sold it to Volkswagen in 1964. 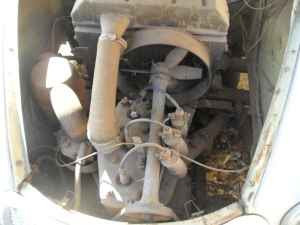 This car is being described as sold with most of its original parts still with it. 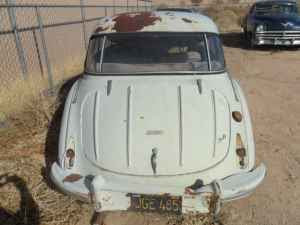 The seller says it was once "part of a collection of cars that were used as back drops in the movies." This is a very cool, very unusual car that would be a blast to take to car shows. The asking price seems steep to me (maybe it's at a premium for being a movie star), but you could always make an offer and see what happens. 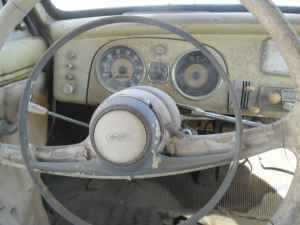 Located in Hesperia, CA, click here to see the Craigslist ad. There was a post in Octane magazine about a year ago about DKW 2-strokes and their racing successes down in South America. I think that they managed to get over 120 hp out of the engine down in Brazil, and the DKW engineers couldn't believe that figure, so some of the engines were sent back to Germany to inspect. I think it was either the DKW Puma or Malzoni GT... I can't remember which one. 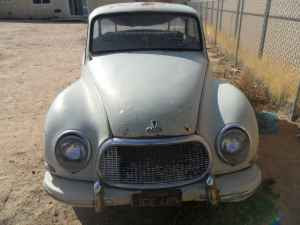 Many years ago, when I was building my 1st car, I came across a mint DKW in a Junk yard. It had been abandoned and towed. But it was mint. Over the months I saw it slowly decline through dents and pilfering. Very sad.